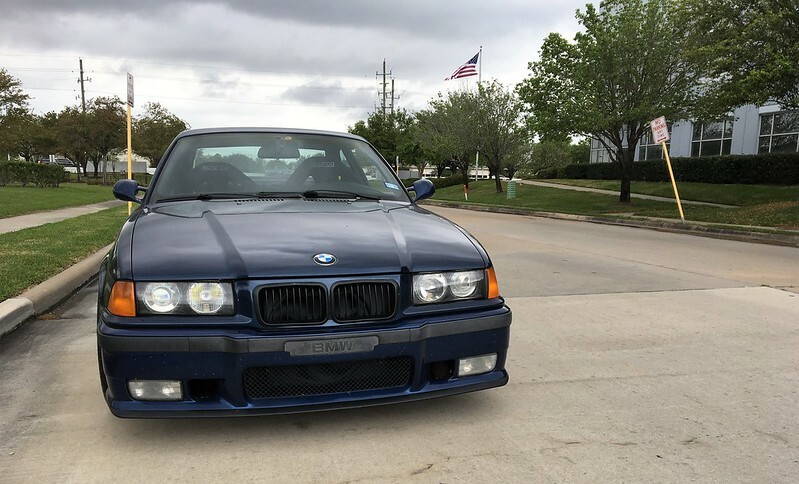 I saw a pretty decent ZHP in a salvage yard in North Houston not too terribly long ago but I'm sure it has been well harvested by now. Would make for a cool swap, especially if you could find one of the six speed ones and swap everything over. I am not sure if he is on here, will try to find out next time I speak with him. Yeah, I think they advertise on Craigslist. They are clear they are not interested in selling the complete car. Can't blame them. I've chatted with George a bit about the swap. I have some things to think about. Still looking for a good salvage donor. I saw 3 late last fall, but was not in a position to act, sadly. A couple of them were really good donors - moderate miles and all (less than 150k). Some of the discussion has me thinking about acquiring a regular B30 and rebuilding it since the piston rings are a known issue. I'd hate to have to try to acquire parts piecemeal though. 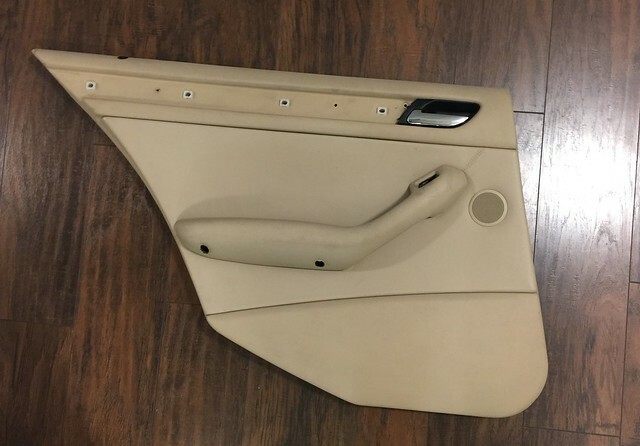 Yeah, ordering part by part doesn't really work as you'd spend a fortune that way. 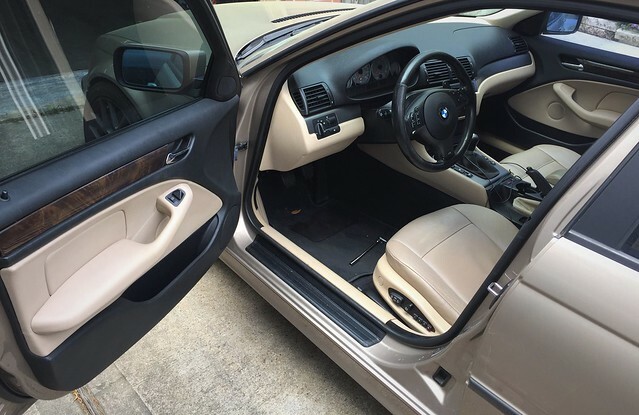 Having an entire car to get everything you need is the most economical way to go about things. 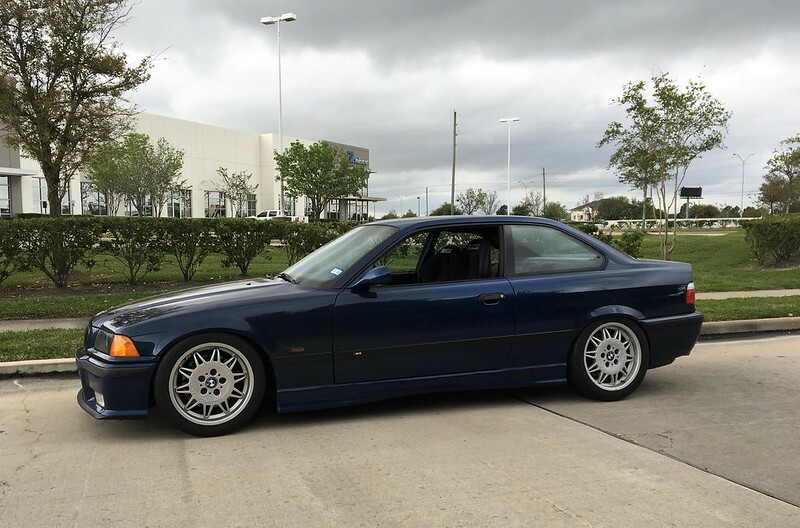 I say hold out for a ZHP, maybe find a deal on a convertible and go from there as they are out there! 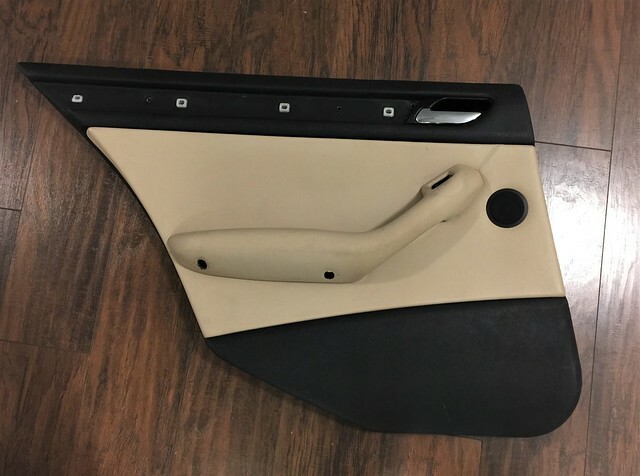 I picked up some black door panels pretty cheap to experiment with as I've been wanting to try a two-tone look. First I drilled out all of the plastic rivets on each panel to separate them. Once I pulled them apart, I swapped the beige insert into the black panel and used some 3/8" long #8 screws to secure it. I can't tell a difference from before, seems very solid and no squeaks or rattles so I would say it was a success. Then I did the rest of them. It didn't really take that long, an hour or two with taking my time. Overall, I like it, but I need to swap in a black dash and kick panels to make it look right. Once all of that is done, I think it'll look pretty good. I'm not looking forward to pulling the dash, but I think it'll be worth it. I helped pull the black dash that I got for mine. It wasn't that bad, but still enough work that I'm not really looking forward to putting it in my car any time soon. Yeah, making the interior tutone isn't that difficult, that's exactly how I had determined to do it. It's almost better to have dull drill bit, though, as a really sharp on tends to bite too much I found when I was experimenting. Turned out looking great! It's been a few years since I pulled a dash. It's just time consuming, really. And you have to keep everything organized to put it all back together right. That looks really nice. Not sure I'd pull the dash. I really have to agree. 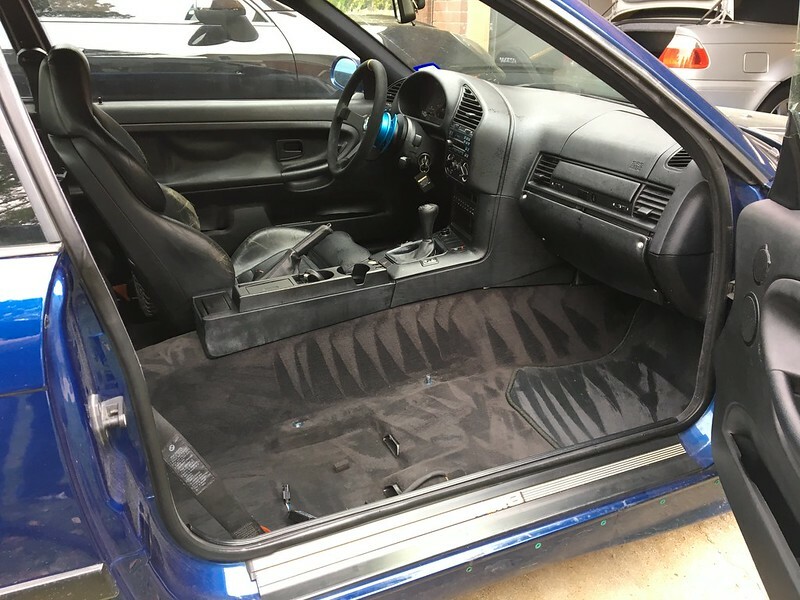 It fits very well with the rest of the interior. No real updates on the wagon as I'm waiting on some more parts to arrive for the intake and interior. 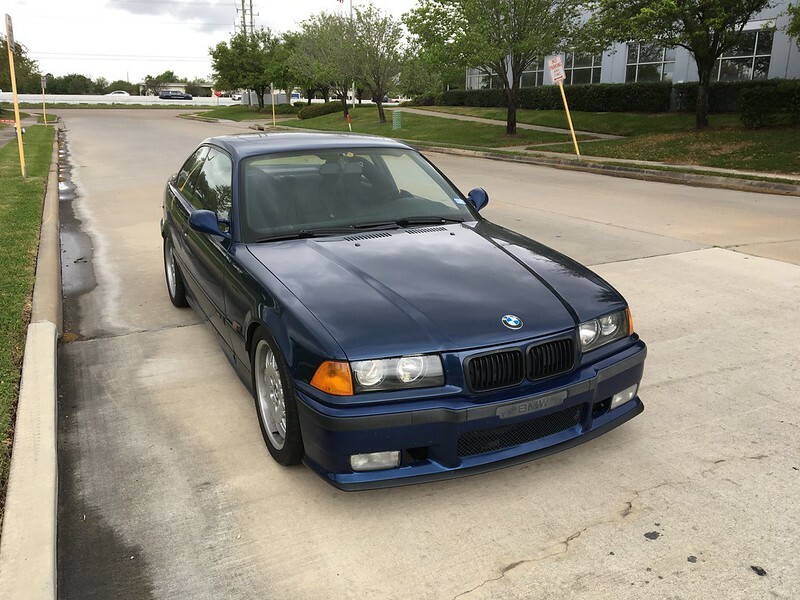 Overall though, everything went well and I'm quite excited about this one as one of the first BMWs I ever really noticed was an E36 from the movie "The Chase" that I saw as a kid. The car came with a set of new coilovers installed as well as camber arms, fresh bushings, new radiator and a bunch of other recent upgrades. 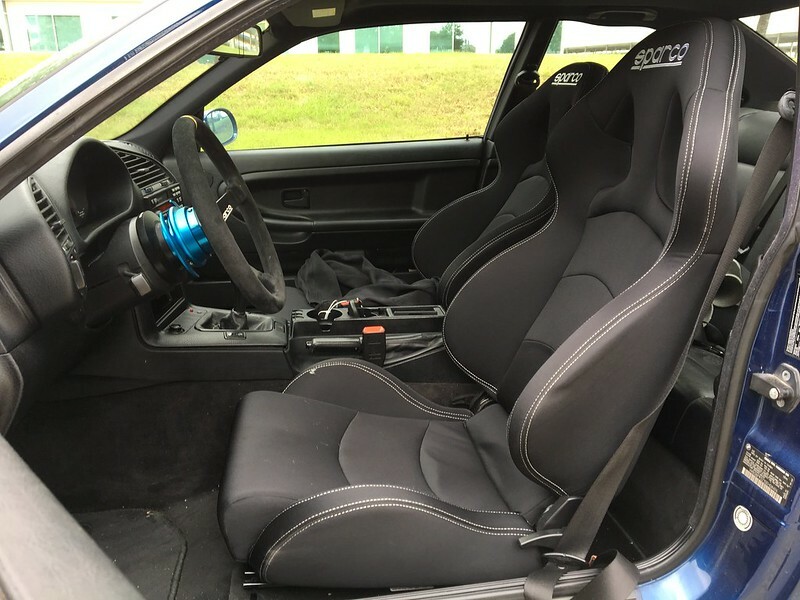 It also had a set of Sparco seats and a wheel installed. 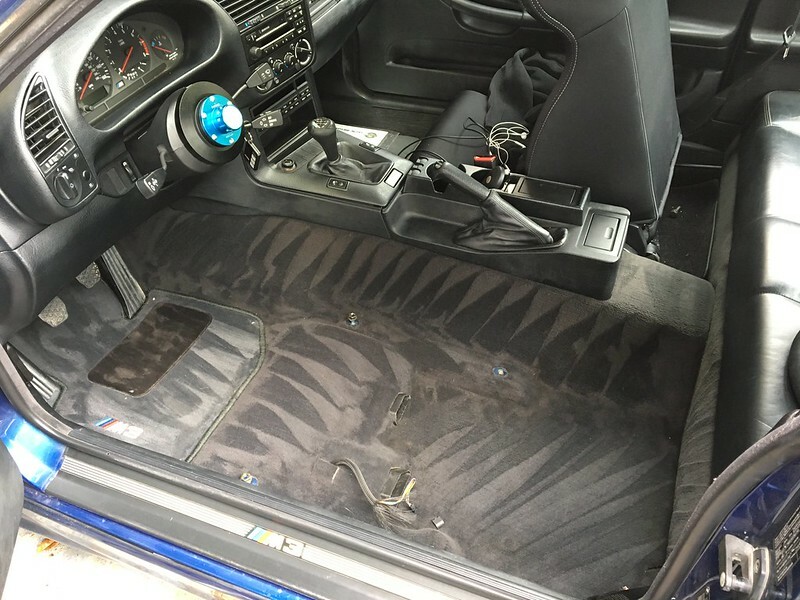 Luckily, it also came with a set of stock seats that I managed to fit in the car with me on the way home. 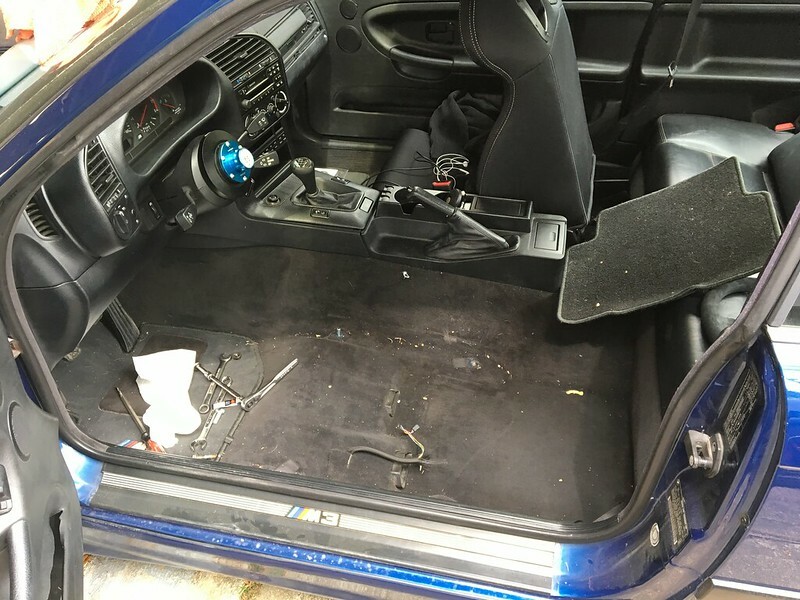 It was close to being converted to a track car, but luckily the owner had most of the stock parts still. I'm planning to make it into a driver, not a track car so I'll mostly just clean it up the best that I can and enjoy it. 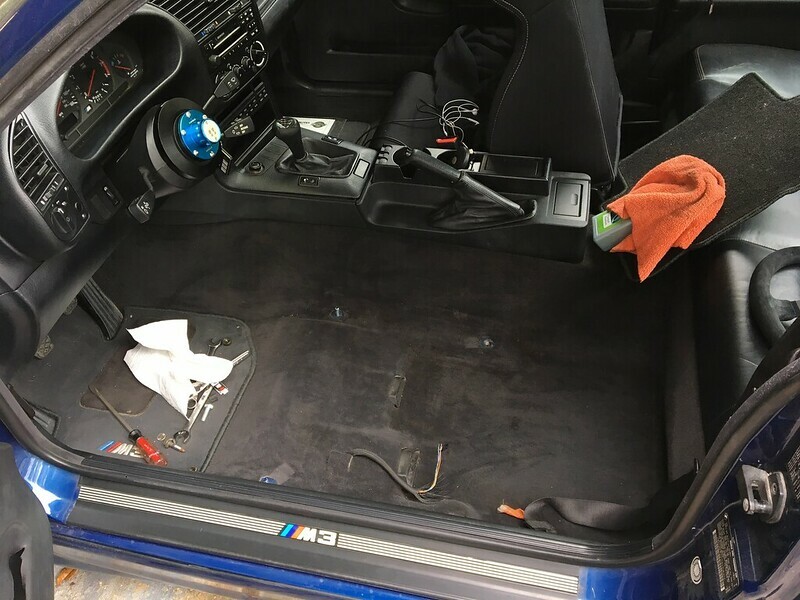 First course of action was to see what was hiding under the seat. Scored a pair of child's paw control glasses and 35 cents, not bad! Stock vaders resinstalled. The driver side needs some reconditioning, but I plan to check around to find the best course of action on bringing it back up to par. The passenger side looks pretty good as-is, but might have to get them both redone so they match. 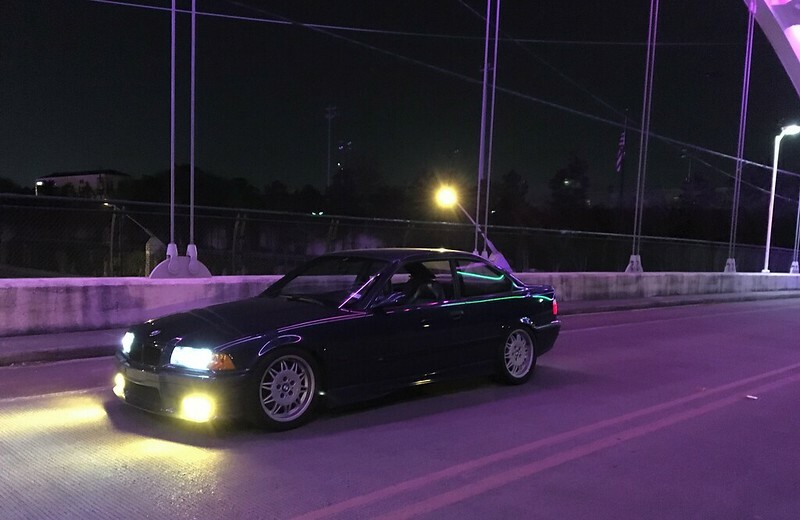 Took it out for a Sunday night cruise after my work. Last edited by Steve M3; 04-01-2019 at 08:48 AM. Nice pick-up! Love the color. That is a nice car, Steve! Fairly rare color, too. Great find man. Tempted to pick a cheap one to toss around. So... what’s the deal with the Sparco’s? 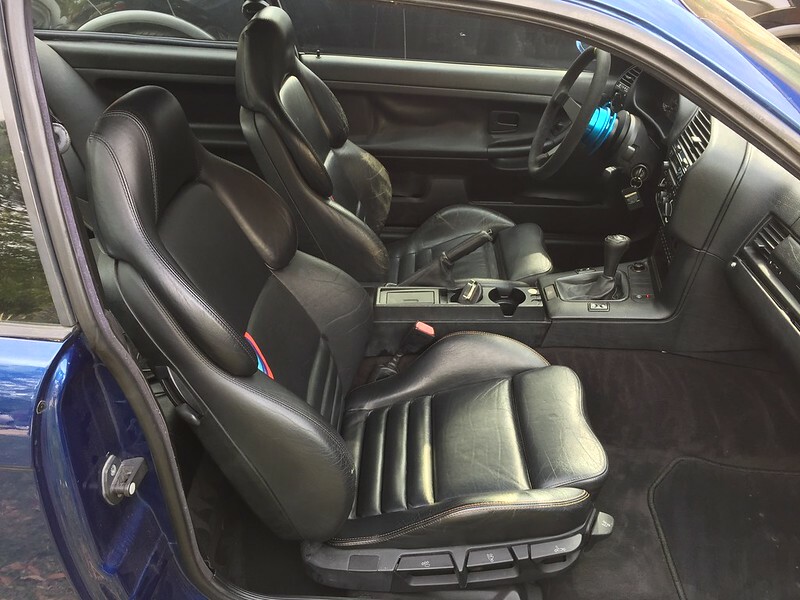 As far as the Sparcos, I'm planning to sell them as I really like the look of the stock seats in that car and the seating position was a bit low since the E36 steering column doesn't have a tilt function. If it had tilted down, they would have worked a lot better. 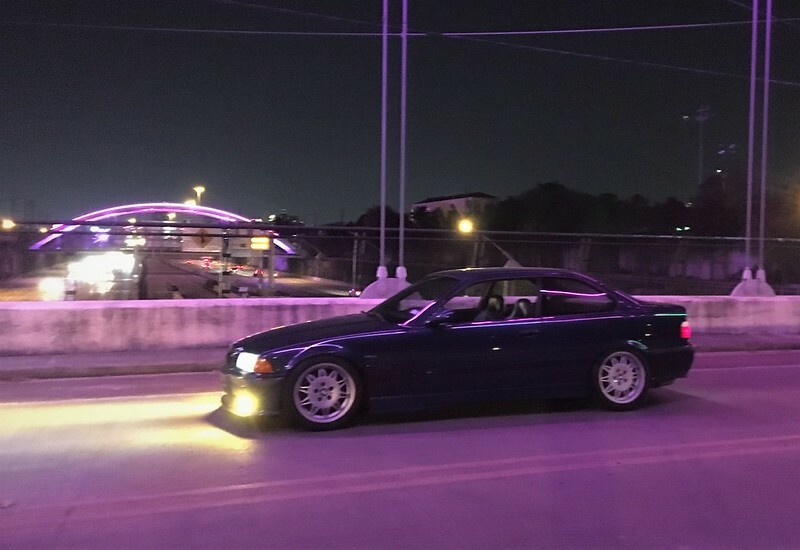 I've taken a few weekends off from this car since I've had other things going on and also have been given attention to my newly acquired E36 but I decided to get back to it this weekend. Karbonius intake + Kassel MAP solution + MSSFlasher = The best sound I've ever heard from a car I've personally owned. This intake is almost too beautiful to put in the engine bay, but here we go. I went back and forth on the best wiring method and read every source of info I could find at least five times. It seemed confusing, but as usual, I was over complicating things. My final approach was to clip off the MAF plug and wire directly to it. This wouldn't be the best route to go if you plan on running the flap, but for my flapless setup, it seems to have been the most straight forward approach. All buttoned up. I still want to clean up the wiring a little bit more, but it doesn't look terribly out of place. It could look a little more OE but that'll give me something to do for another weekend as I really wanted to go for a drive to experience the intake sound. 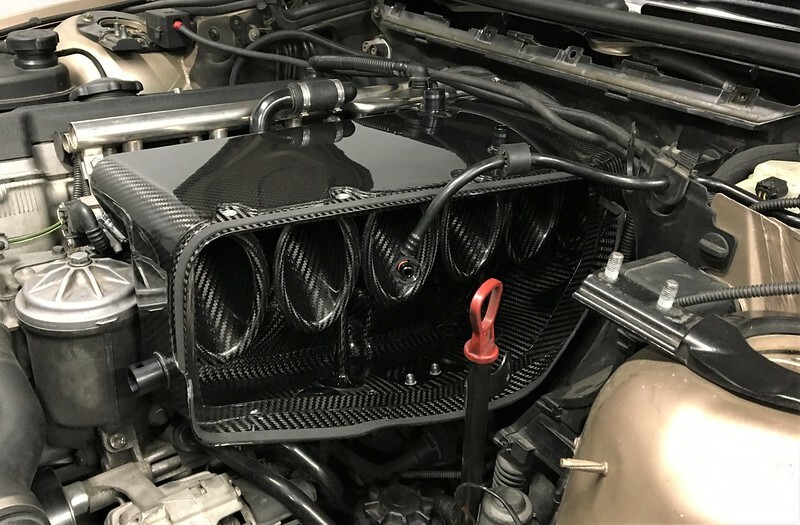 Is this intake worth it? It depends. I think it's 100% worth it, but it probably wouldn't be for everyone. Sound wise, it's simply amazing. Rolling into 2nd gear from 30 mph is fairly intense. It's something that needs to be heard in person rather than on video as the videos I've watched don't quite capture it. Overall, I'm extremely pleased with the car and more importantly, the drivability hasn't really changed thanks to the MAP setup. 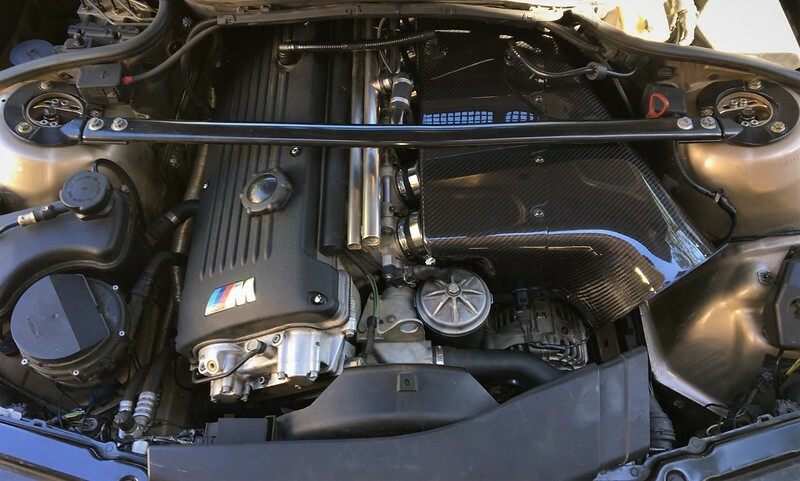 n00b question: what does that intake use for filtration? It uses the OE CSL filter, or you can also get a filter that is produced by them. The filter is the size of the hole in the first pic where you can see the trumpets so it's fairly massive. It slides in and then the box bolts together to hold it in place.